It really is a most beautiful thing, to be able to live out a dream that you've harbored since you were 7 years old. A dream that was inspired by three bumpy hours on a whale watching boat in the Pacific Ocean of Canada's west coast. Three hours in the pouring rain. On a grey sea underneath a grey sky. Cold, wet and shivering... an August family holiday in Tofino, BC. Regardless of the rain, that glimpse of a raw and real connection to nature had sparked something in me, and I could feel the pull of the coast. That week I told my family that I wanted to work with whales and to study the ocean, both of which I went on to do, although it took a little patience for the dream of returning to Vancouver Island to unfold. 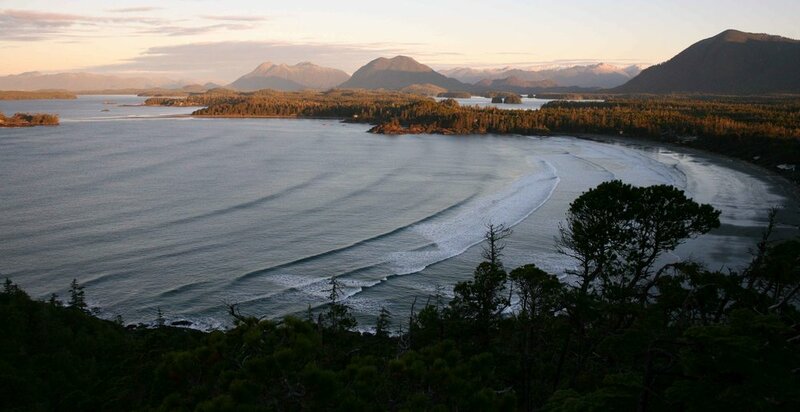 But now, two decades later, I find myself wrapping up two incredible years spent living in Tofino, British Columbia. A place where life is a bit wilder than anything else I've ever known, experiences are too big to put into words, and stories so many that you struggle to choose one to tell. Ever alongside those stormy adventures though is perhaps the real magnetic quality of the town; a community spirit that runs so deep that it grounds many people that visit here, and we often find it impossible to leave. Because it's hard to leave a place that allows you to feel so at home. The people here know how to take care of each other, how to let each other grow, and how to love each of the many different characters that we indeed grow to be. And there are a lot of characters in this island town. It would take considerable effort to be someone who is too 'out there' for Tofino -and I mean that in a really good way! Because who really wants to be normal or average? What does that even mean, when we're all born with unique traits, gifts and talents? Why do we so often put up with having to dampen our personalities just to fit the status quo? It's extremely liberating to live somewhere where its normal to be abnormal, where there's complete free-license to be yourself. The town isn't judging. The beauty of the town lies in its ability to accept outsiders, like a bright and homespun patchwork quilt full of eccentric personalities. You don't have to try to fit in. You just get to add in your own colorful fabric, your own unique pattern. What a luxury, to be part of a community that allows you to be exactly who you are. An old dream that began for me as a calling to get into the wild, connect with nature and simplify my lifestyle, actually turned into the perfect opportunity to step into my voice as an artist and teacher. An opportunity to explore my own calling without worrying so much about what other people might think. Of course some level of anxiety and fear of judgement still exists, there's still a quiet doubting voice there, but these days it has much less power over me. The release of those restrictions gave me the chance to move beyond self-imposed limitations and expand into individuality. And so living the dream in Tofino turned out to be less about working with the whales, as my 7-year old self thought, and more about discovering the quiet support that is offered when you choose to stand out as yourself. And when it comes down to it, to stand out is simply to be outstanding. The west coast has taught me some valuable lessons, and it is with these teachings in mind that I can now move into embracing city life in Vancouver, and also toward spending more time in India. These lessons learned on the coast have given me courage to step into my path. To show up as a leader, a teacher and an artist, and to commit to serving others through the skills that I have been fortunate to develop. Once again, that old truth comes up. That the teachings can come from anywhere, so long as we stay receptive to each experience.